Once a week or so, I get the itch to spend the afternoon (or morning) in the kitchen, stocking up on homemade goodness. This relatively small investment of time pays big dividends in terms of being able to open the fridge and find yummy and healthy things to eat. 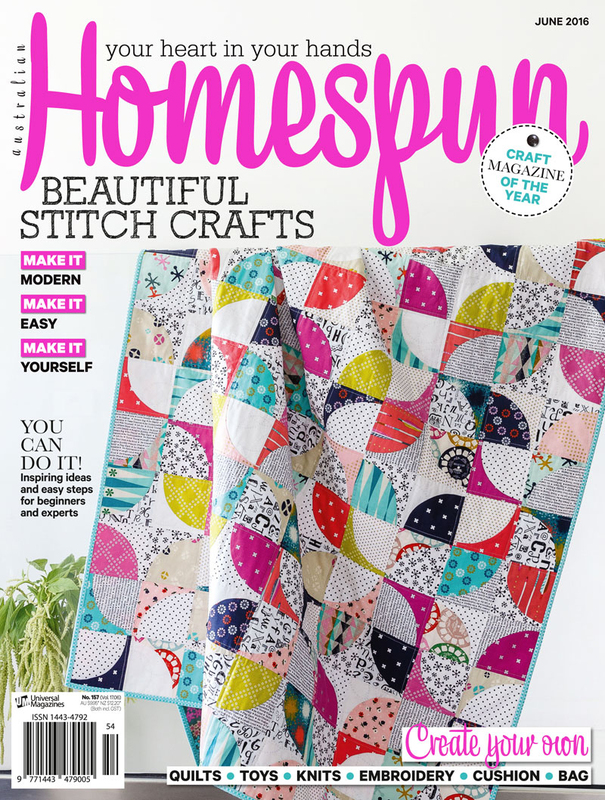 This drives away both boredom and the urge to indulge in less healthy options. Mediterranean Salad from Feeding the Whole Family. I cannot say enough good things about this cookbook. The author has a website called Cookus Interruptus, with oodles of great recipes, and hilarious how-to videos. 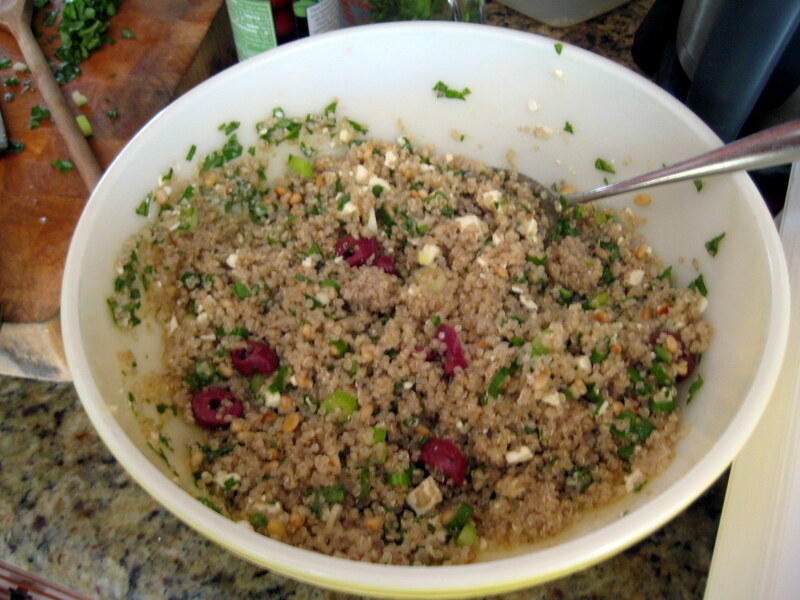 Quinoa, pine nuts, feta cheese, lemon and olive oil- not pretty, but oh! so delicious! 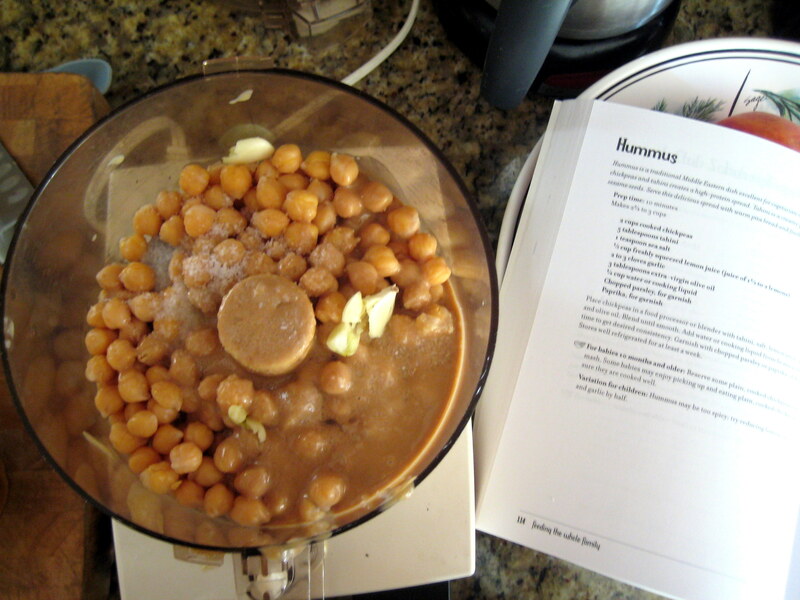 Hummus, from the same cookbook, but the recipe is also listed here. 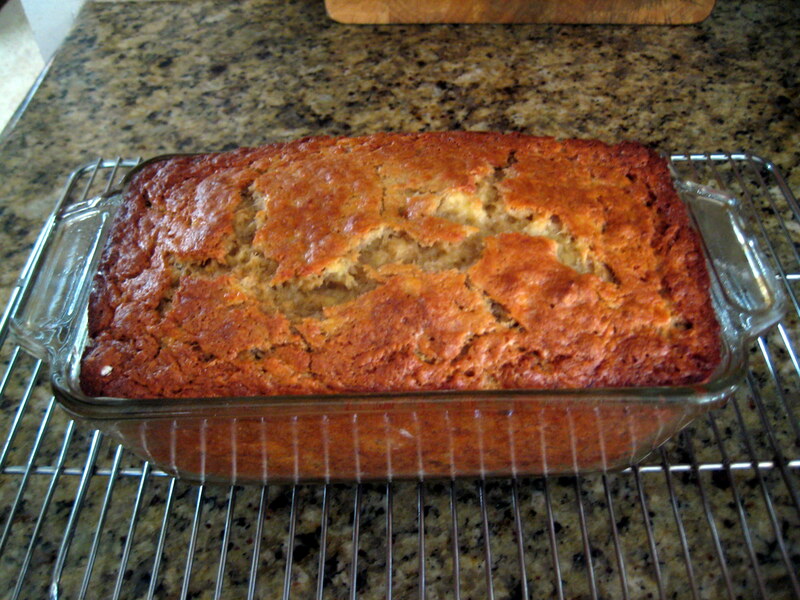 Banana Bread, always welcome around here for snacks and breakfast. 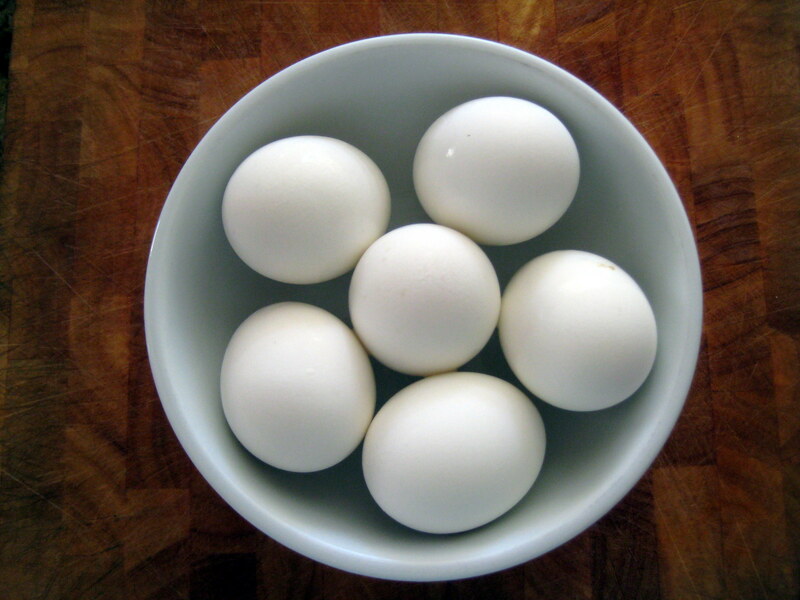 Hard boiled eggs, handy for quick breakfasts, lunches and snacks. 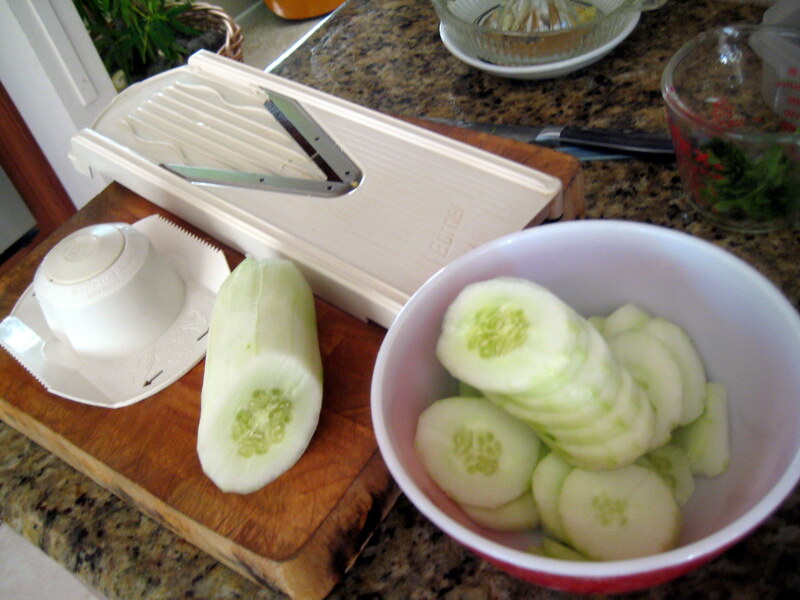 Peel and thinly slice cucumbers and place in a medium bowl, preferably one with a lid. 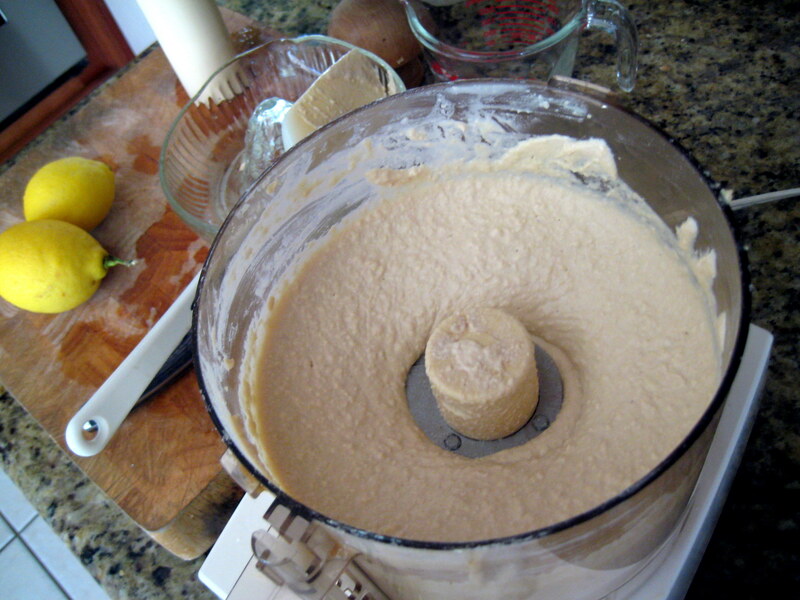 Add the rest of the ingredients to the bowl and stir well. Place in refrigerator to marinate for at least 3 hours. Stir or shake the bowl occasionally to ensure that all cucumbers are well coated. I often double or triple this recipe, making enough of the marinade to mostly cover the cucumbers. Sometimes I also add some sliced onion as well. All in all, a very satisfying couple of hours. The kitchen is a mess, yes, but worth it. Over here it’s all tomatoes all the time. But we had a little bumper crop of tomatoes that is just about nearing the end. Tomatoes are just getting going over here too. We are basically trying to eat them with every meal! Thanks for commenting! Yum! That is my type of food Kristin! I love hard-boiled eggs, especially dipped in a little salt. My children are fussy though and I have to make devilled eggs out of theirs. Your quinoa salad looks very tasty, we love lemon in dressings at our house too. Banana bread is one of my favourites, yours looks lovely.